Kids get a free LEGO Helicopter Mini Model Build! 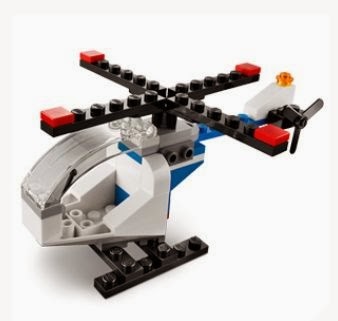 This event will be held Tuesday, April 1st at 5pm Visit a LEGO® Store and learn how to build this LEGO Helicopter model and take it home – for free! Event begins at 5pm. Quantities are limited and offer is good while supplies last only. Models are not for sale and cannot be purchased. Each child will get one free per child. The event is open to children ages 6-14 only. Click the link below to go to the LEGO® website to get the details.